For many people, keeping a journal will seem like an old-fashioned pastime from a bygone age and yet, if we called it blogging, it suddenly seems modern and interesting. Fundamentally, they are one and the same, but creating a content marketing blog can give your business the edge it needs, particularly when it comes to your inbound marketing strategy. Any inbound marketing campaign starts with an Inbound marketing blog post. After all, what would the internet be without something to read? 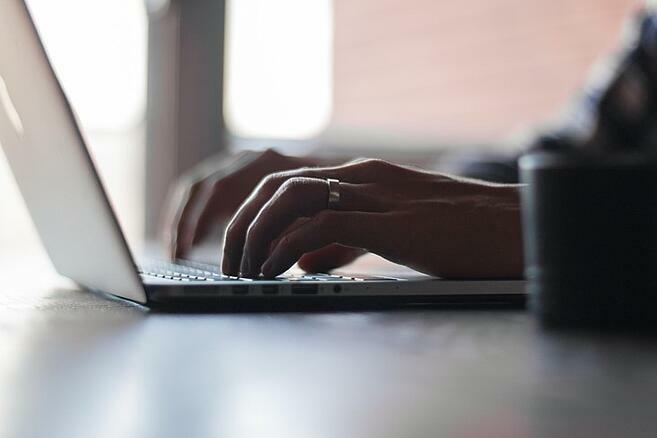 The need to create new, engaging and, more importantly, original content is why blogging is the first port of call when it comes to inbound marketing, but how do you make it work for you? How do you attract the clientele that is going to make your marketing strategy a success? Let’s take a look. Bloggers and businesses like you will take that empty screen and build on it. Through careful planning, informed opinion and business insight, your blog will grow. A great blog develops quickly. It’s contagious. Before you know it, you’ll have tapped into a huge community of like-minded people, attracted to your site who engage with your business and help to create a following which is loyal, passionate and committed. Of course not any old blog is going to drive traffic to your site. The old adage that ‘content is king’ has never been more accurate, particularly when it comes to inbound marketing. 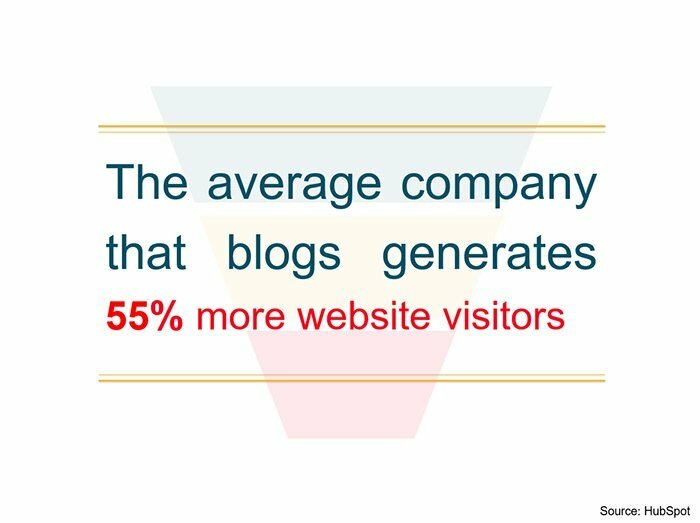 Blogs that engage the reader are one of the most powerful ways to attract new visitors to your site. Websites that spin the same standard article, often with few changes, proliferate the net, but rarely stand out from the crowd. Potential customers can go to any number of sites to read basically the same article, but what people really want is new, regular, engaging, original content that they know will only, and can only, come from your site. That’s what makes blogging a unique and powerful tool in your marketing arsenal. When it comes to including a blog on your site, there is really no debate to be had. Blogs help to build an audience. That has been proven time and time again. They have been doing it successfully around the world (wide web) for many years. By creating educational content, customers will very quickly learn that your site is the thought leader in its respective field. They will begin to associate original, well-researched, articulate and informative content with your business, your brand and your product or service. A connection that is strong, long-lasting and ultimately financial beneficial to you. 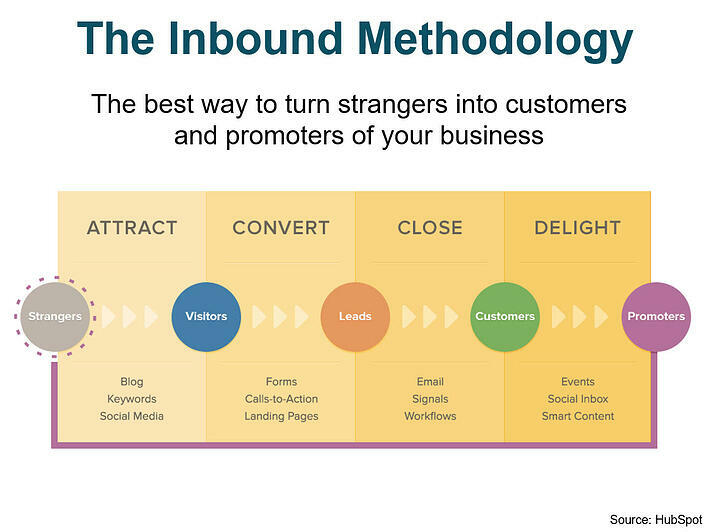 This is the the first phase of the Inbound Marketing Methodology. The blogs you generate should, primarily, address two main issues. Firstly, your blog should speak to them in a language they will understand, and on a topic you both share an interest in. Secondly, they should answer any questions that they may have. Whatever your area of expertise is, blogs are a way to inform, educate, get people talking (via comments), sharing (across social media) and interacting with you. Once you have them, that’s where the fun really begins and we’ll talk about the next step in our next blog. You may not realise it, but there’s also a financial benefit to blogging. According to research from our inbound marketing partner, HubSpot, the world’s leading marketing and sales platform, companies that prioritise blogging are 13x more likely to be increasing their Return on Investment year on year. With those kind of figures, can you afford not to be writing a blog? Throughout our journey around the world of inbound marketing, we’ve talked a lot about content. Whilst your business may be devoted to manufacturing, electronics or technology, content is still at the heart of all your inbound marketing efforts. The problem with content, however engaging, is that it can be hard to see any return on the investment you’re making in it. If your new manufacturing process has an innovative development, or your latest investment is faster at producing your particular range of products, then the money spent is clear for all to see. Content doesn’t always have that luxury. If you feel like you’re spending money on content, but not seeing a return on your investment, then we have 7 reasons why that might be the case. The first place to start is understanding what kind of ‘value’ your content is delivering. Are you monitoring where visitors are coming from, or how they’re interacting with it? If not, you’re probably also ignoring the amount of times the content is shared, or the new contacts it has generated. Content won’t produce uniform data. Some posts will get more traffic, but generate less leads, others might get little traffic but are more topical. The figures themselves will tell you whether it’s relevant to your audience or hitting its target perfectly. Make a point of measuring key performance indicators on a quarterly, or monthly, basis and use the information it gives you to hone your content going forward. If you’ve started down the inbound marketing road, then you’ll already have an idea of what you expect your content to bring you. Knowing and understanding your goals will help you know if you’re achieving a return. If not, then you really need to start. As a business, decide what you want to accomplish. It may take a little while to pin it down, especially when you’re dealing with multi-departmental goals, but once you have them, it will allow you to trace backwards to determine what steps can ultimately lead you to where you want to go. One of the key aspects of inbound marketing is blogging. What started as a personal journal has developed into an incredibly useful tool for businesses. The problem arises when blogging marks the beginning and the end of your content strategy. A blog is a great addition, but it can’t exist in a vacuum. It’s not enough on it’s own to deliver a ROI. Your visitors want original, engaging content, but that doesn’t mean it has to be solely in blog form. In order to reach the full potential of your audience, you need to embrace multi-media and multi-platforms. That might sound like a lot of extra work, but it is often the case of adapting existing content to suit different platforms. You could, for example, group related blogs into an ebook. Repackage your content and spread the word. The content you post should be a online extension of your brand. It should always reflect your company’s value and ethos. If visitors trust and value your brand, they’ll feel the same about your content. With that in mind, make sure that the content you’re offering is tied into your business persona. Showing customers how, for example, to extend the life of a piece of industrial plant machinery or electronic equipment, means that educational content can support your reputation as a leader in your respective field. When it comes to inbound marketing, the content you’re developing has a purpose. Whatever form the content takes, it is all designed to turn visitors to your website into customers. To do this, one crucial part of the puzzle is the Call-to-Action button. The CTA button encourages visitors to trade their contact details for a piece of content only you can deliver, whether that’s an ebook or a white-paper. Many businesses fail to understand the importance a CTA button can have. Put simply, it’s an essential part of your marketing strategy to help generate leads. Ignore it at your peril. Once your inbound strategy is underway, the content you post should be a regular piece of your marketing efforts. If you don’t have a plan that goes with your updates, it can very easily become lost and infrequent, losing valuable momentum along the way. This can cost both money and visitors. To stop this happening, you should create an editorial calendar. This will detail a rolling schedule that shows what you’re posting, when you’re posting it and on what platform. Whilst this is a great way to focus your efforts, it can do so much more. Use it to remind you of important events in your industry like trade shows, expos and award ceremonies. Being able to tailor content that is relevant to important dates also gives you topical subjects to blog about. Search Engine Optimisation is an important aspect to almost every website. Knowing how to rank your pages when people are searching for particular topics, is crucial to the success of your inbound marketing. With that in mind, you need to be sure that your content contains the relevant keywords that people are looking for. Creating content that includes relevant keywords and phrases are going to dramatically increase the number of visitors to your site. If you’ve not created a list of them, it’s time to do some research. The types of keywords you’ll find that people use might surprise you, but it’s a important step to take. The more visitors you get, the more leads you will generate. The more leads you generate, the more sales you can make. Now if you want to take this further, we have created a free guide to business blogging. It's our eBook "Writing A Greate Business Blog: A Guide To The Best Content Marketing Blogs"